Why do so many want LASIK over other vision correction options? Shanda Ross, OD, is the Clinical Director of Clarity Refractive Services in West Orange, NJ. Her practice specialties include corneal refractive surgery, surgical management of keratoconus, and dry eye management. Dr. Ross lectures nationally on topics covering corneal refractive surgery and surgical management of keratoconus. She is an active member of the New Jersey Society of Optometric Physicians and the American Optometric Association. Dr. Ross completed an ocular disease residency at OMNI Eye Services of New Jersey and OMNI Eye Surgery of New York. 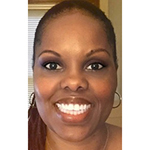 Keisha Reedus began her career in ophthalmology over 15 years ago after completing her undergraduate education at Rutgers University. Keisha has an extensive clinical background serving as a technician, surgical assistant, refractive coordinator and clinical trainer. Since 2011, she's been focusing on the business aspect of refractive surgery as the Practice Administrator for Clarity Refractive Services. 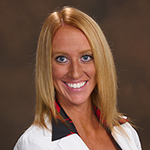 Her main objective - ensuring every patient has an exceptional and positive experience with each member of her team.